The Dragon Academy is a school Dragons can attend to gain special fighting skills or increase their knowledge of the ones they already possess. The size of this building is 6x6 squares, regardless of its level. Only Dragons that are Level 4 or higher are able to attend the Academy. Selecting the Academy in its ruined state and then pressing the button will bring up one of two windows. If the Trainer has not rescued Professor Hogwin by beating Quest 5 (Gargoyle Peninsula) in Normal Mode, the window will inform the Trainer that they need to defeat it to rescue Hogwin before they can rebuild the Academy (pressing the button will take the Trainer to the required quest). 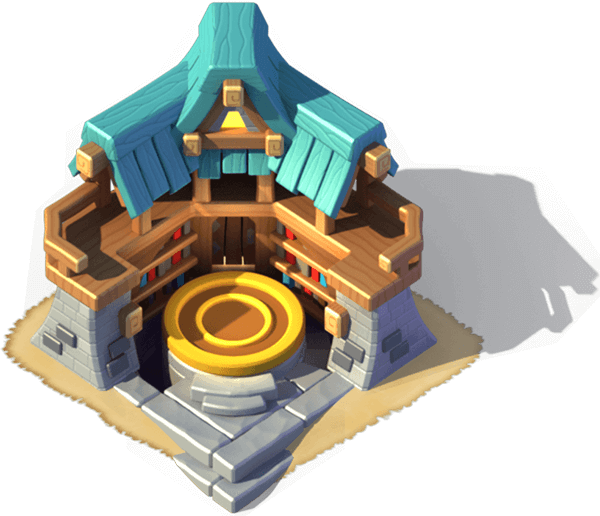 Once Quest 5 is beaten, the window will display the cost and time needed to rebuild the Academy, giving the Trainer the option to rebuild it instantly in exchange for Gems or in exchange for Gold by using the button. 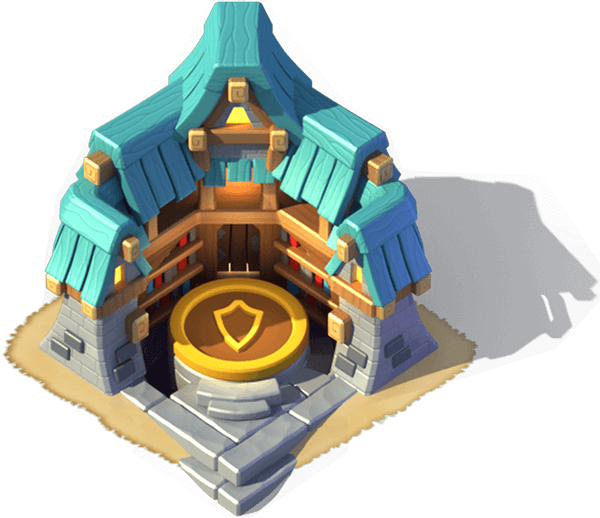 Once rebuilt, the Academy can be used to teach skills to Dragons. The Dragon Academy has five additional upgrades that are unlocked as the Trainer progresses in level. 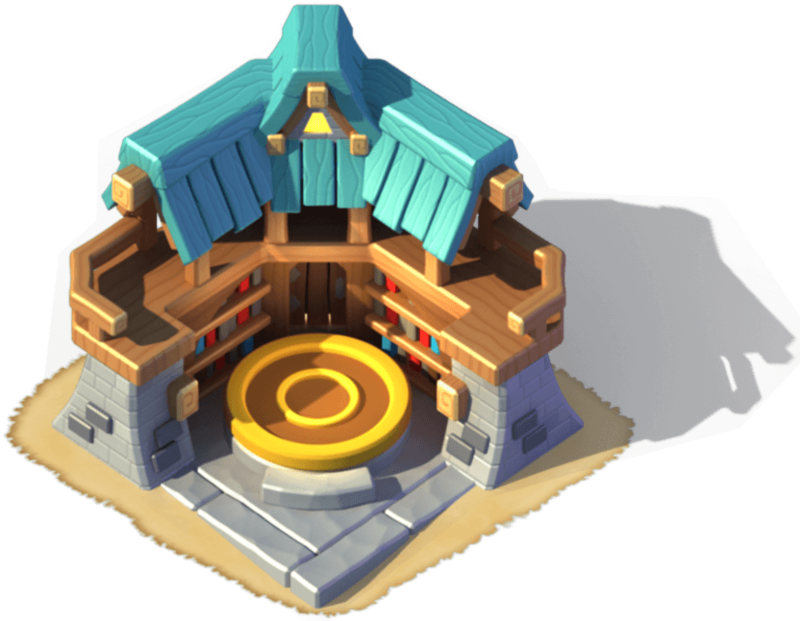 Each Academy Level coincides with the level of training a Dragon can receive. Therefore, if the Academy has only been increased to Level 4, the Dragons can only learn four levels of a skill. After selecting the Academy, pressing the button will bring up the selection screen. Dragons that are eligible for skill training are shown on the selection screen, in decreasing order, by Level. Dragons that are in the Dragon Vault can not be chosen. In the selection screen, the Trainer can filter the Dragons by one specific Element or by (the default view). Sending Dragons to the Academy can also be done by selecting a Dragon in their Habitat, opening their Codex Entry and then pressing the button. If the Dragon Vault is present on the Trainer's islands, this button does not appear as the button takes its place. After choosing an eligible Dragon, the Trainer will be shown the level(s) of the Dragon's current skill(s), information on what each skill does (as well as the cost and time needed to upgrade it), the current number of Scrolls the Trainer has, the button (which will take the Trainer to the selection screen when pressed), and either the button for Elements that have no skill level or the button for Elements whose skill level is at least 1. 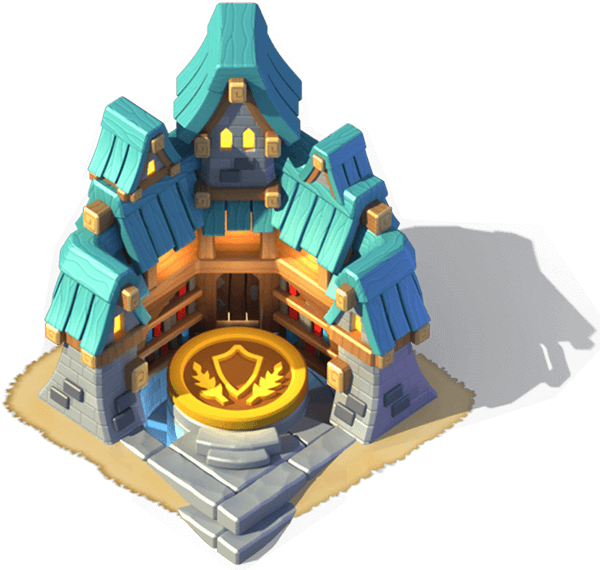 When a skill is finished being unlocked or upgraded, the icon will be shown atop the Academy. Selecting the Academy (tapping the icon) will bring up a window that briefly explains the Dragon's unlocked or upgraded skill and closing it can be done using the button. If the skill level of the Element is 5, the Trainer will instead be shown the button. When pressed, it will take the Trainer to the mastery screen to choose between one of two available masteries by pressing the option underneath the one they prefer. Should the Trainer wish to change the mastery of a Dragon to another one, they can head to the same screen and press the button. This will bring up the window with both skills, where the current skill has the button underneath it and the other skill has the button. Switching the skill is done instantly. Update 4.2 modified the graphical interface of the Dragon Academy. 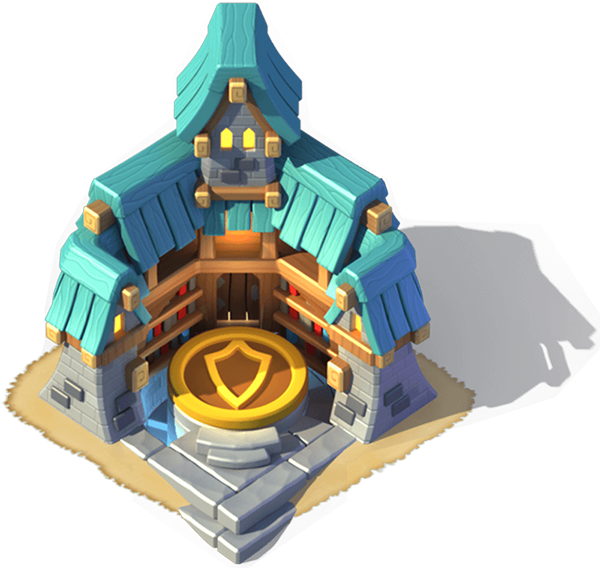 Starting with this update, only Dragons that are stored in the Dragon Vault are not eligible for attending the Academy. 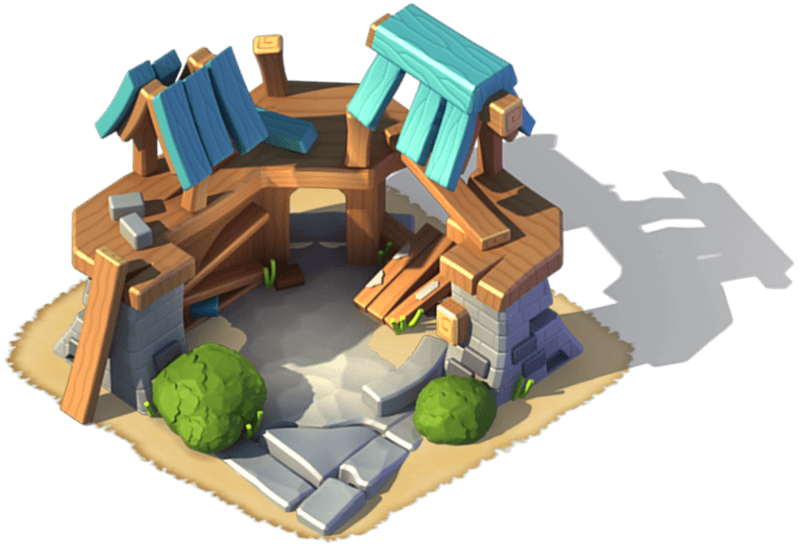 Before this update, Dragons that were preoccupied with timed actions, such as exploring ruins, breeding and other processes of this kind were not available until said process was finished. Update 3.0 changed the icon with the icon. Update 1.5 made the Academy repositionable. Prior to this update, it was an immovable building. 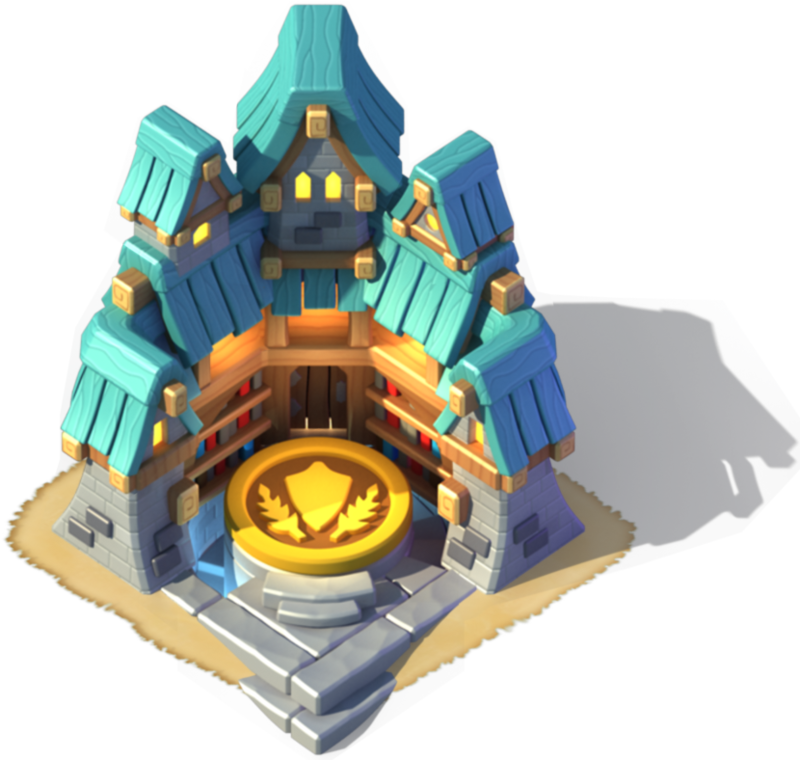 Update 1.1 increased the costs for upgrading the Academy. This page was last edited on 5 December 2018, at 21:12.